Amy Winehouse was forced to abandon a concert at the St Lucia Jazz festival because of "technical difficulties", a spokesman has said. It was the first time in months the 25-year-old singer had performed in front of an audience. Her spokesman said: "Circumstances beyond anyone's control meant that this special show did not go as planned." 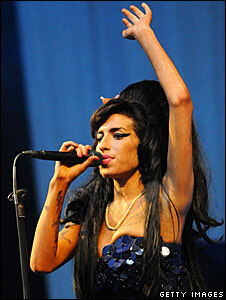 He blamed the bad weather and said Winehouse would like to "express her disappointment" that the gig ended. The singer is currently spending time recording on the island.